Was T. rex a scavenger? With a reputation as the “king of the killers”, Tyrannosaurus rex was the size of a house, a heavy as an elephant, and had teeth as long and sharp as carving knives. Yet some palaeontologists have argued that this fearsome dinosaur was actually a scavenger, feasting only on animals that were already dead. Some of the dinosaur’s features appear to be designed for hunting, others for scavenging. The most like answer is that T. rex was both, killing live prey but also feeding on animal remains whenever it found them. 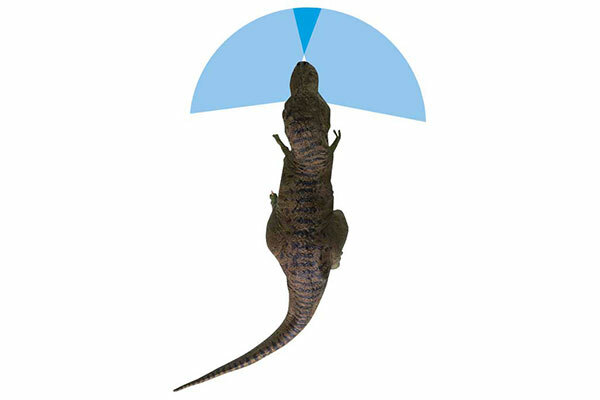 Could tiny arms grapple with prey? 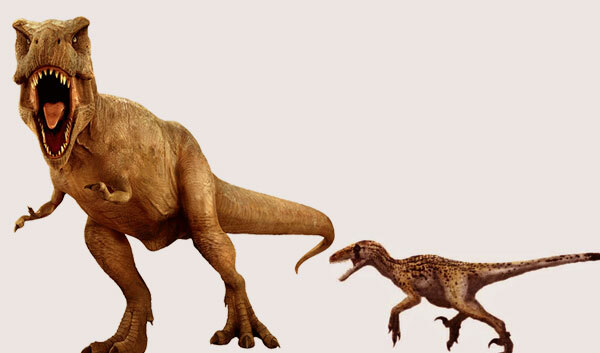 All tyrannosaurs had small arms but T. rex’s were the tiniest for its size. For many years their purpose puzzled palaeontologists. However, recent research suggests the arms were handy for hunting. The heavy arm bones, strong muscles, and limited range of movement would have made the arms the right tools for holding struggling prey. How fast was T. rex? Most experts estimate the top speed at between 16-40 kmh (10-25 mph). Studies have shown that T. rex’s legs weren’t strong enough to absorb the pounding of its 6 tonnes of body weight at faster speeds. However, although T. rex was slower than the fastest dinosaurs (such as Ornitholestes), it was fast enough to catch potential prey, such as lumbering plant-eater Triceratops. How big was its bite? T. rex had the biggest and the strongest jaws of any dinosaur – they could measure up to 1.2m (4ft) long. 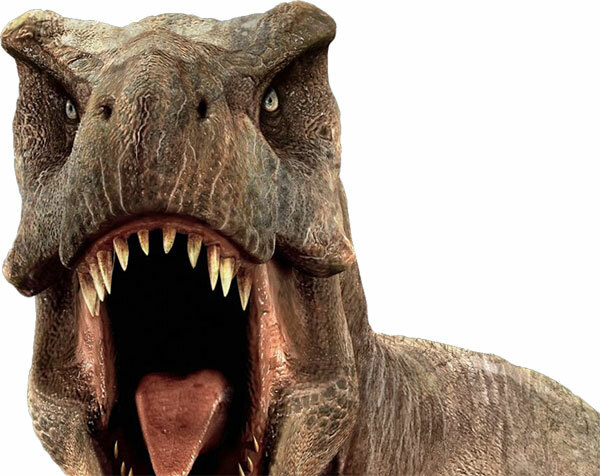 Experts estimate that T. rex could eat up to 230kg (500lb) of meat and bones in a single bite. This is strong evidence that the dinosaur was a hunter, for scavengers would not have needed such size or power. 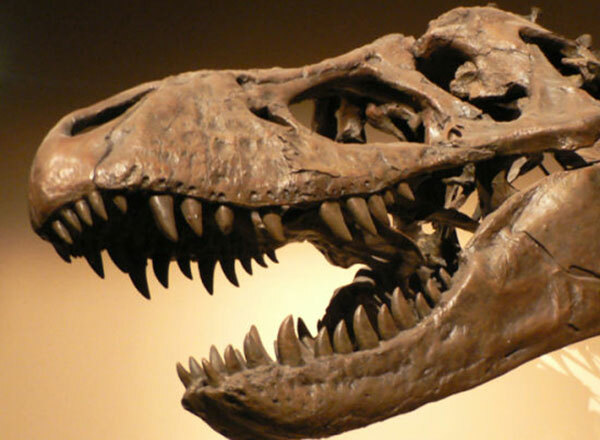 Did T. rex have good eyesight? Strong vision is essential for hunting but less so far scavenging. T. rex had eyes that were angled forwards, giving it some degree of binocular vision. This means that it could judge the distance of an object where the fields of view from its left eye and right eye overlapped. T. rex’s eyesight was probably good enough for stalking prey. Do scavengers need a strong sense of smell? Scavenging animals track down dead meat by following its smell, so a sensitive nose is essential. Experiments have shown that T. rex did have a heightened sense of smell – scans of the dinosaur’s skull reveal exceptionally large olfactory loves (smell detectors). But this alone is not enough to prove that it was a scavenger. A good sense of smell is an essential tool for hunting, too. 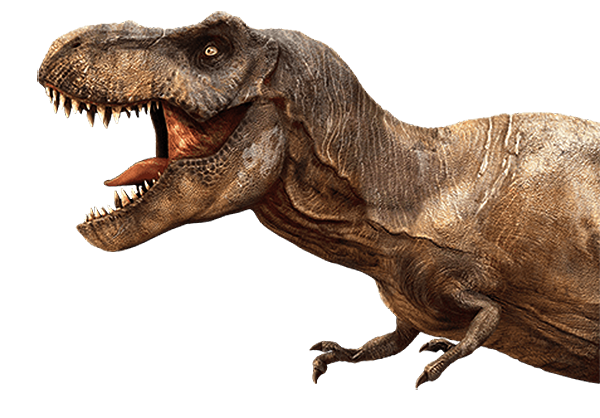 Tyrannosaurus rex would have needed about 136kg (300lb) of meat each day to keep it supplied with energy. Scavengers such as vultures and hyenas can digest meat in an advanced stage of decay without getting sick. Some palaeontologists think that T. rex may have had feathers.